You could then use Save Selection, or Temporarily Isolate Elements in View, depending on what you want to do next. Using Schedules, you can usually use Highlight in Model to find an element (or group of elements) from a schedule row. 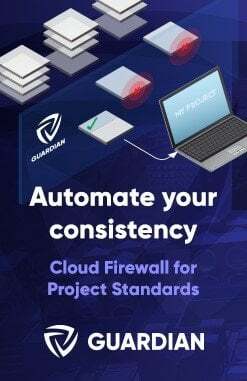 However, this does not work if the element is hidden in the only view that it is instantiated in – for example, a single Generic Annotation entry in a Note Block (Schedule). 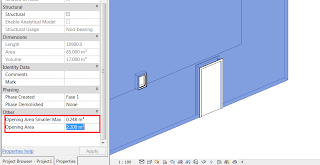 Revit will not be able to find the element. The Properties Palette has now updated to show the properties for the Element! 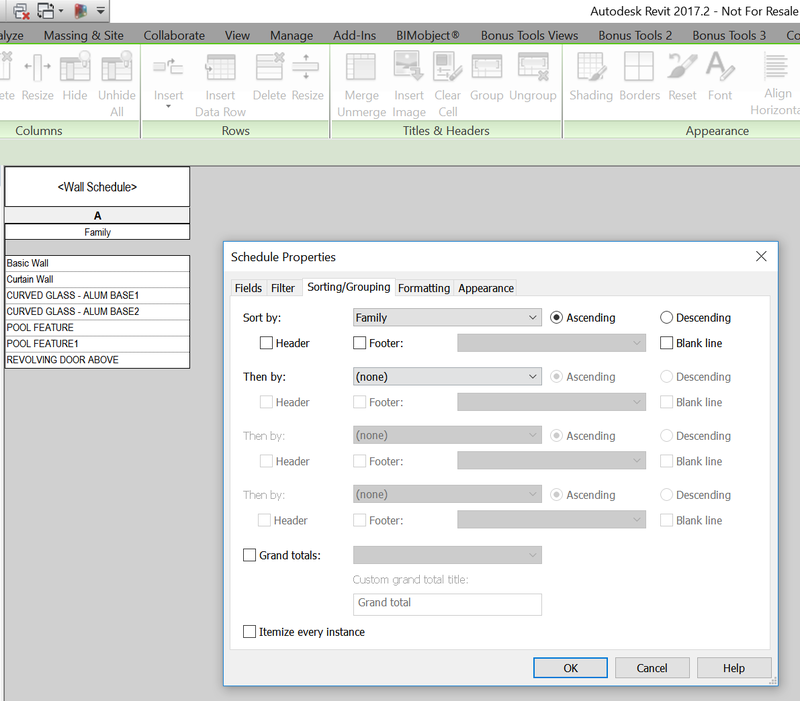 In previous versions of Revit, Key Schedules were often used for generic data, general notes and the like. 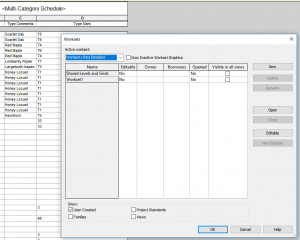 However, Key Schedules have limitations – one of which is that you cannot insert an image in a Data Row. You can also insert columns (these are not “aligned” to actual Schedule parameters). 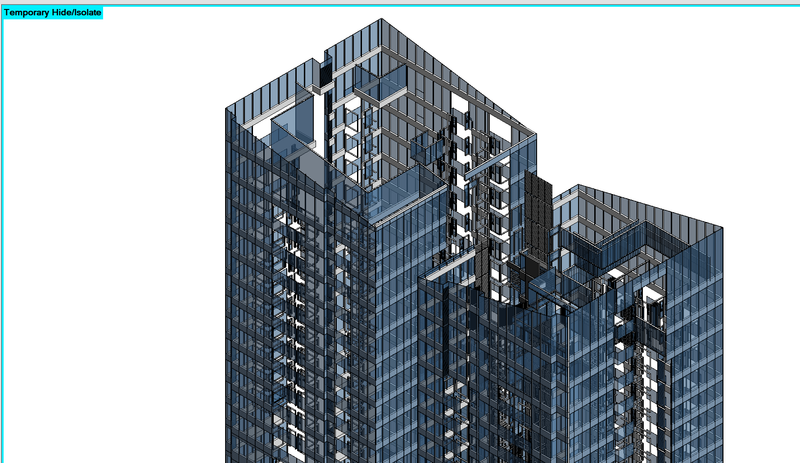 Interestingly, this is a somewhat un-Revit workflow – we have a sandbox here for creating a custom Schedule, perhaps for Title Sheets (including Consultant Logos). 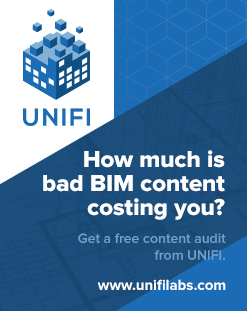 But you cannot really enter or leverage new data here – it is reading data from the Project or View (Schedule) parameters. However, you can enter “dumb” text in any of these fields. 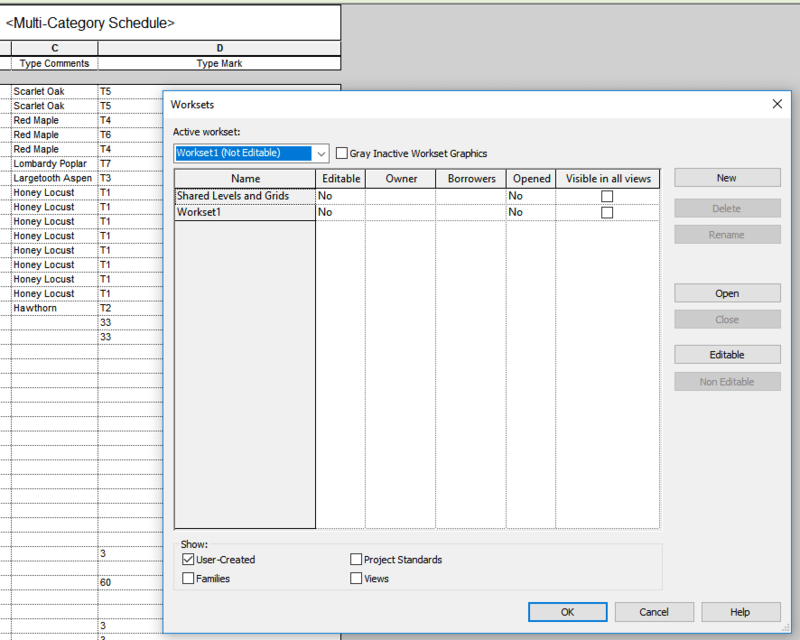 In 2014, create a schedule that finds no elements (use an unused category or filter out the elements). 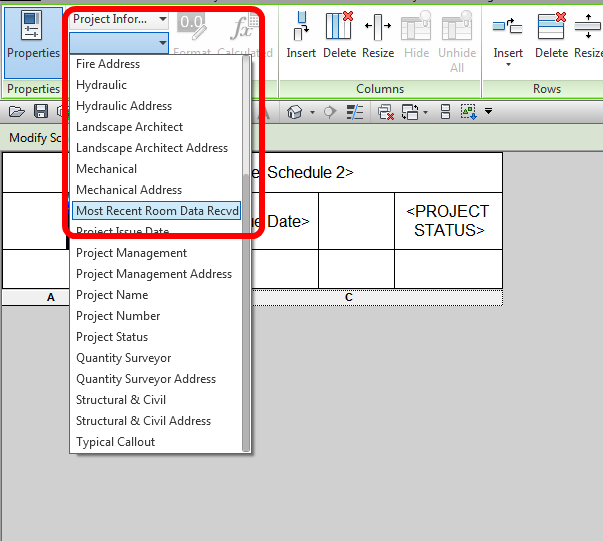 Go to the header and add rows and columns. 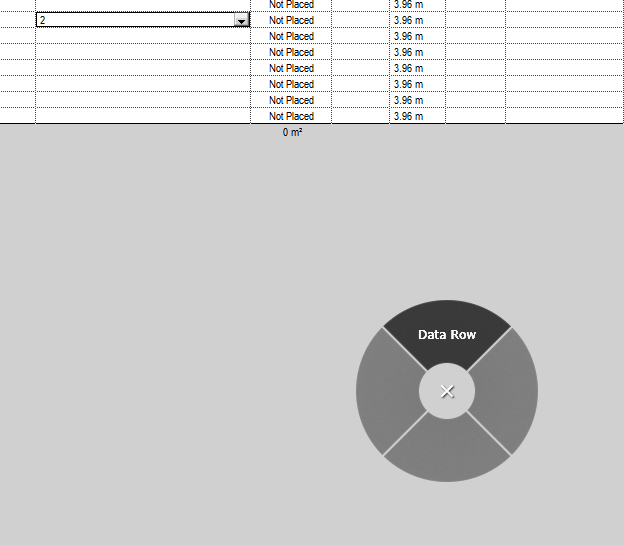 Voila, a generic table into which you can add text, project parameters, view parameters, or images. You can modify cell shading, borders, font properties etc. The table will appear in the project browser schedule section. You can do a logical test between a Project Parameter (in essence, a global constant for this Revit file) and an element parameter in most schedules. 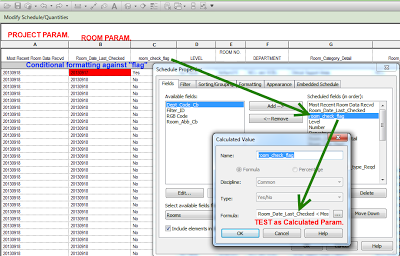 If we leverage this for Rooms, we can check if the current Room Data has been checked against the most recent set of briefing documents from the Client. 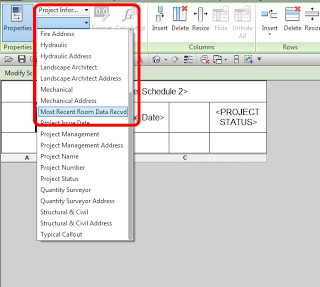 To reveal Project Information as a possible parameter in a Room Schedule, just tick the “Include elements in linked files” box. 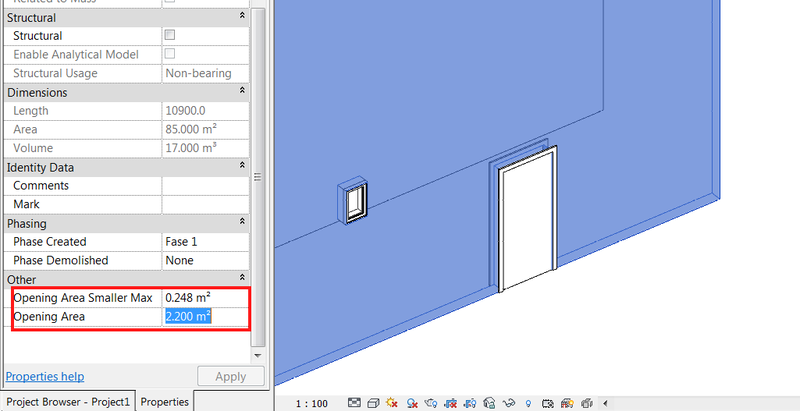 Both the Project Parameter and the SP parameter applied to the Room in the image above are Number type, meaning we can do the “greater than” test.